The herd of giraffes was all looking at something. I was recently on a working trip to South Africa. During a side excursion after one of the business meetings had concluded for the day, our small group of mission executives toured part of the Kruger National Park in eastern South Africa where we were staying. What a delightful place. The scenery is just average, but the wildlife is spectacular to the point of being indescribable. Elephants, rhinos, wildebeest, cheetahs, cape buffalo, you name it and it was there, and in such great numbers that just attempting to count them would have been a futile endeavor. I never thought the day would come when I would drive past a herd of elephants and consider it too common to be noteworthy and not worth the effort to even slow down the vehicle. At one point during our meandering drive through the untamed African wilderness, we came across a group of five or six giraffes, tall, majestic, beautiful and for some reason motionless, almost as if they were petrified. All the giraffes were staring intently at one spot, away from us. Normally, in the wild, animals will keep a wary eye on humans. In this case, even though we were close to the giraffes and approaching them from behind, they willfully chose to ignore our presence. None of us in the group could claim to be animal trackers or be in any way knowledgeable of animal psychology, although some of us are quite comfortable in the out-of-doors. We surmised that we were the lesser threat to the giraffes than what must have been the fearsome creature on which they were focusing their attention. Using junior high level trigonometry, we calculated where the giraffes were looking and then, still in our van, headed towards the spot on which the giraffes had locked their stare. 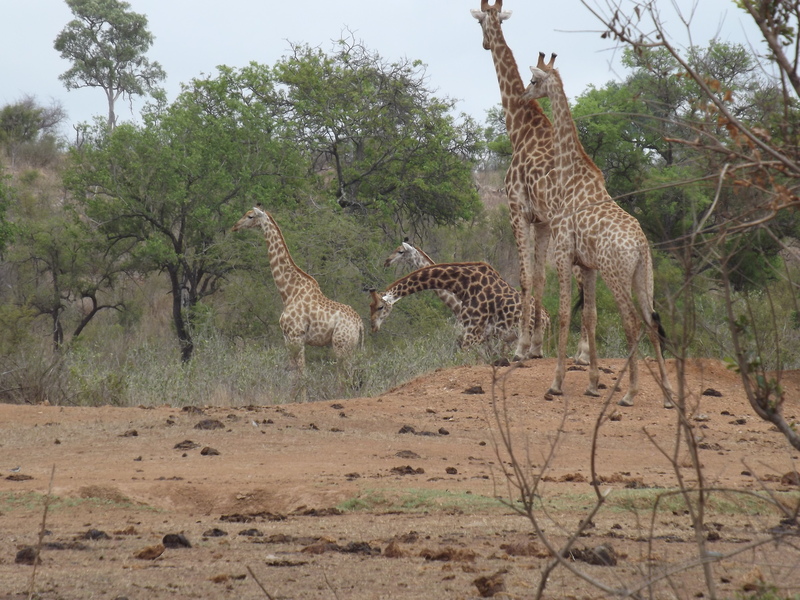 Before long we found a drivable trail that led us to a point a little beyond where the giraffes were still looking. We backtracked their line of vision. We saw nothing special. 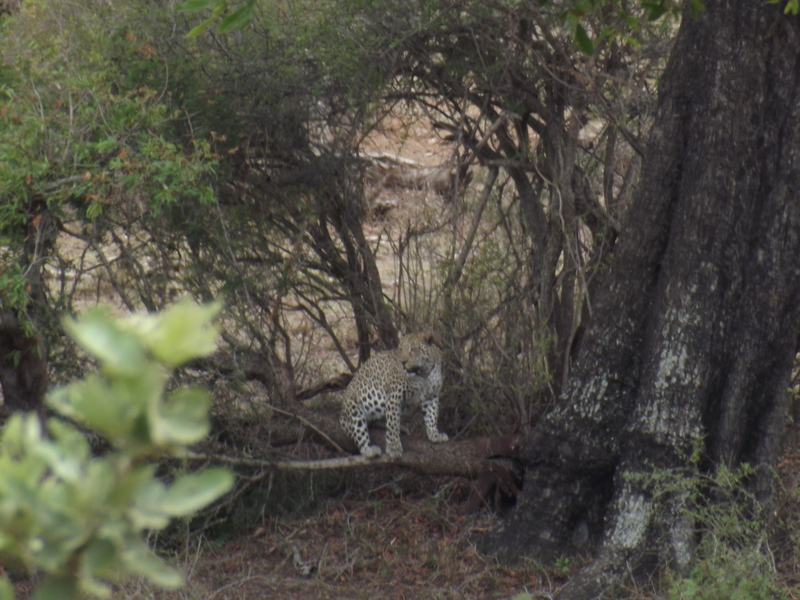 Then suddenly, a slight movement caused a large leopard to magically emerge from his cloak of invisibility. It was the leopard that overwhelmingly commanded the attention of the giraffes, causing them to ignore us humans. It was the unified vision of the giraffes that had betrayed the position of the leopard. Because the giraffes were all looking at the same thing, we were able to navigate till we discovered what they were staring at. This got me to thinking about my life as a follower of Jesus. Am I looking at Jesus in a way that others will be able to find him by watching me? What will people find if they backtrack my line of sight? If I’m with a group of fellow Jesus followers, will anyone outside our group be able to detect a unified focal point? Are we all looking at Jesus and allowing others to find him, or are we Christians each looking to our own interests, creating a scattered vision that points nowhere? The Bible says in Hebrews 12:2 that we should “fix our eyes on Jesus, the pioneer and perfecter of faith.” What do you think would happen if we Jesus followers really focused our attention on him instead of on our own pleasures and opinions?